Keep an eye on your exposed lines and watch for frost. Cold weather is still present in the first few weeks of March. The temperature may go from 40-50 degrees during the day down to 20 degrees at night. 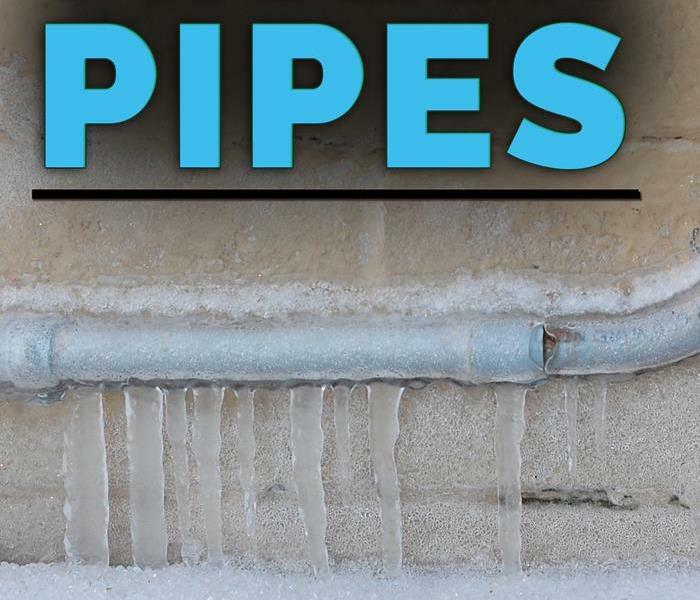 Therefore, frozen pipes are still a concern for many businesses, especially those operating out of warehouse-type facilities, and it pays to be aware of the signs of freezing pipes so that you can be proactive rather than reactive to potential water damage. The first sign of potential problems is the appearance of frost on your water pipes. Frosting may occur on pipes that are located on or near exterior walls. However, it is also possible that it happens on plumbing located in an inadequately heated facility. If pipes are allowed to persist this way, then the pressure of freezing water will likely result in broken pipes and flooding. Odor is another sign of freezing water lines. As water freezes, it does not allow for proper ventilation which can lead to gases and odd odors coming back up through floor drains and sinks. These smells are a significant sign of pending water damage and disaster. The last sign of frozen lines is the reduction or complete loss of water pressure. If you notice that the faucets in your facility have limited to no flow, then you should call a plumbing specialist in the Hamilton, OH area before a thorough water cleanup is necessary. No water means that there is a blockage, and if your facility has experienced frozen lines in the past, then you are likely dealing with a complete freeze, which can lead to burst pipes and flooding. Water damage caused by freezing results in more than flooding; it causes damage to the plumbing itself. Unlike a backup where water overflows, freezing creates breaks, cracks and splits, meaning that repairs are extensive and costly. Don’t let the spring thaw calm your nerves about the winter cold. Keep an eye on your exposed lines and watch for frost. Pay attention to strange odors and call for help if you have a sudden loss of water pressure. Can You Be Insured for Mold? Your commercial property is likely insured for a variety of possible circumstances. Your commercial property in Oxford, OH is likely insured for a variety of possible circumstances. Your liability coverage covers any legal costs that you may have due to incidents that occur in the building. Your flood coverage covers damage done by major flooding. Fungus removal isn't always covered under a property policy, but you may have limited coverage due to an exception. Here is how your insurance coverage likely breaks down when it comes to mold remediation. Be advised that your policy is unlikely to cover more than $15,000 for fungus removal per year. If the problem is extensive, therefore, you may incur some out-of-pocket expenses to fully mitigate the damage. 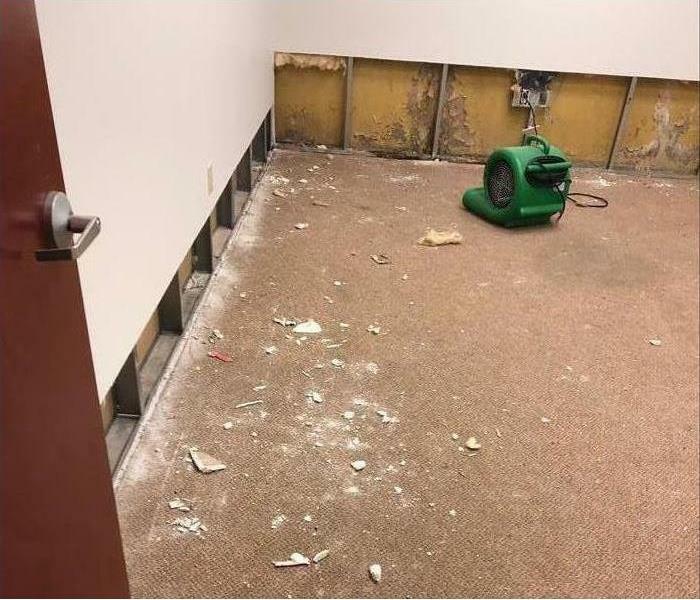 When you see a mold exclusion in your coverage, that doesn't automatically mean that you are completely on your own when it comes to paying for remediation. Many companies place these exclusions in their policies to avoid confusion when it comes to legal issues regarding mold and mold cleanup. 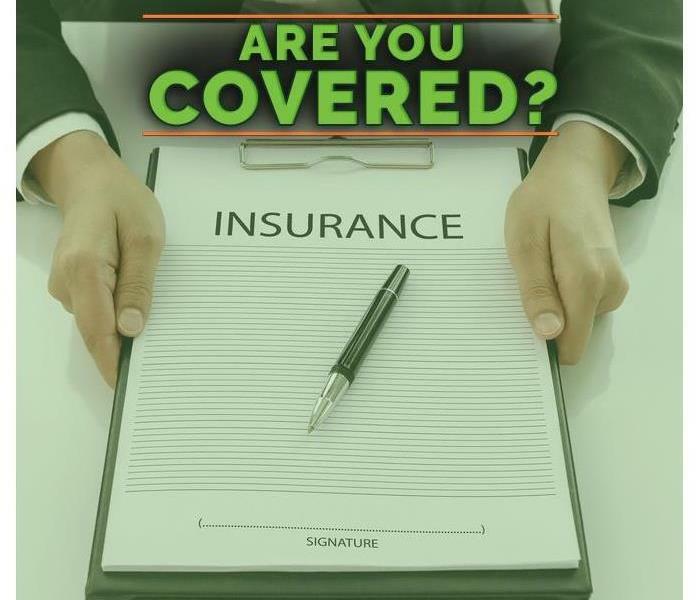 To fully understand the circumstances under which a mold problem would be covered by your policy, you should discuss it with your insurance agent. Then, if you decide that you do not have adequate coverage, he or she can suggest additional coverage for your commercial package. The bottom line is that it's important to know if fungus removal is covered by your commercial policy. 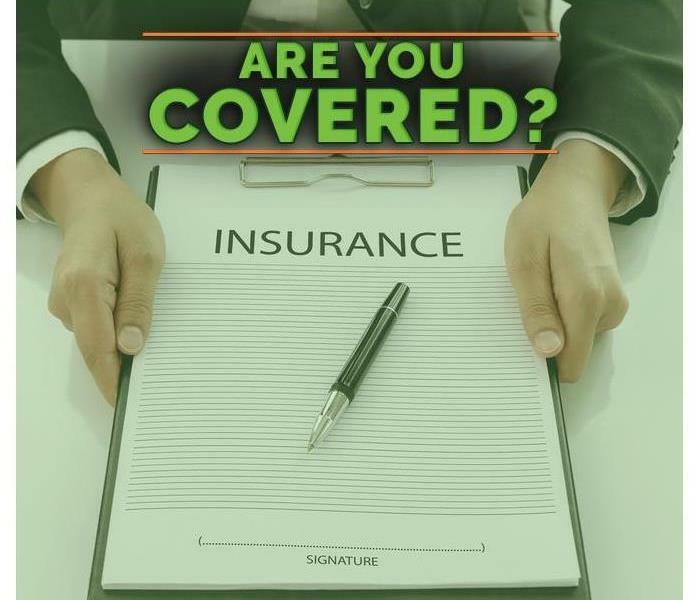 Your insurance agent can answer any questions you have about your coverage so that you can make the decision that is right for your business. Storm Services: How Can They Assist Insurance Agents During Times of Disaster? Professional flood technicians can create one comprehensive damage report for each company to make filing claims simpler. When powerful storms strike Oxford, OH they can affect a variety of businesses and create an influx of work for insurance agents and claims adjusters. These professionals must inspect each property, help the owner file a claim and ensure it is processed properly. Having a storm restoration company on hand can give these agents the support they need, especially in a large city or after a serious natural disaster. When storm response teams work in tandem with insurance agents and adjustors, they can streamline the assessment process by reporting which damages will need to be repaired right away. They also help determine the type of restoration service that is needed and the cost of associated with it. When multiple businesses in the same area suffer damage due to flooding or high winds, insurance agents may have a difficult time processing claims at a rate that helps owners recover quickly. This can be especially true in the case of flood damage, where the claims process can be extensive. Agents that work with a restoration service may be able to offer a faster turnaround. Professional flood technicians can create one comprehensive damage report for each company to make filing claims simpler. Insurance agents that collaborate with a storm restoration service may be able to work with multiple customers in the same area with more efficiency, even when the damage to each property is similar. Detailed reports and repair estimates may help agents avoid confusion in the aftermath of major flooding. The storm restoration process can be daunting for business owners in Oxford, OH. However, when their insurance agents are supported by knowledgeable storm repair experts, the claims process may not be as difficult for them. In the event of damage to your home, it is best to contact your insurance company as soon as possible. In the event of damage to your Oxford, OH home, it is best to contact your insurance company as soon as possible. This helps the process go more quickly and will get you living comfortably in your home again sooner. Before the claim can be approved, you will need to meet with a home adjuster who will help assess the damages. Here are a few things that you can do to prepare for the visit. Before the adjuster arrives, you should examine your home and locate any areas with damage related to the claim. Depending on the cause of the damage, this can include broken or missing roof tiles, cracked or warped walls or flooring or flooded areas. This information can help determine how much it will cost for a damage remediation specialist to make repairs. It is likely that the structure of your home is not the only thing that was affected. If there has also been damage to your personal belongings, then you should keep track of that as well. You should create a list of items that have been destroyed or damaged that you will provide to the adjuster. Taking pictures can be helpful as well. Be sure not to throw out any of the damaged items before meeting with the home adjuster. When you file an insurance claim, there will likely be quite a bit of paperwork that you need to fill out. You should complete this as soon as possible to get the process finished more quickly. If you have any questions, the adjuster can help. Because meeting with a home adjuster is an important step in filing a claim, you should make sure that you are prepared. If the visit goes smoothly, it will make the whole process go more easily. As soon as you know you have a black mold problem, make the call so that the professionals can start work on it. If you have ever had a mold problem in your home in Oxford, OH you know that it can get out of control in a hurry. Left on its own, this fungus will continue to grow as long as it has air flow, moisture and food. The best way to prevent spreading mold in your home is to deny it access to the elements that exacerbate it. Here are three ways to do that. A patch of mold that's no bigger than an inch on a countertop can usually be cleaned with detergent. For larger problems, however, you need to call mold remediation experts. These specialists know exactly how to contain mold so that it doesn't get sucked into your HVAC vents and spread further. They also can do a thorough job of drying out the affected area to deprive mold of moisture. Many homeowners who are concerned about spreading mold think that spot cleaning a problem area before professional help arrives will halt its growth. The truth is, however, that disturbing the mold growth without first blocking off the area the way the experts will do it can actually cause the spread you're hoping to avoid. Mold spores cannot be seen with the naked eye, so it's impossible to see if it's spreading. Mold growth will get bigger if you let it. It may be tempting to wait for a more convenient time in your schedule to have work done on your home, but this is not an issue that can wait. As soon as you know you have a black mold problem, make the call so that the professionals can start work on it. Fungus growth is not something you should ignore. The most effective mold remediation is quick, professional attention. Follow these tips to prevent spreading mold. While the insurance claim process in the Hanover Township, OH, area is no cakewalk for homeowners, insurance agents don’t necessarily have it any easier. The job of an agent or an adjuster is to verify the information provided on a claim and to ensure that all information is reliable and accurate. Thankfully, a disaster restoration expert has created a solution for all your claim woes. SERVPRO has created a claims system that will likely reduce research and approval time. 1. What Is the CIC? The CIC stands for the Claims Information Center, and it is a culmination of claims organized by type, cause and response times. Additionally, the system provides an insurance agent with insight into the performance of the company against other national performers. 2. How Is It Useful? The CIC allows agents to research a similar insurance claim to the one they are working on and to track its progress. This tool essentially operates as both an encyclopedia and a project manager, allowing insurers both accuracy and dependability. ReportER is SERVPRO’s corporate database and is, through the Management Dashboard, essentially the access point to the CIC. This is the area where agents can research and check on any current projects. The database is routinely updated, providing insurers with accurate and timely information regarding their current outstanding claims. It is true that the insurance claim process is no cakewalk, and that insurance agents take on the brunt of the work. However, the CIC system allows an agent to research and verify information in a more accurate and reliable way. Through an innovative dashboard design, they are able to access information in the ReportER database and answer questions about project completion and corporate efficiency. Agents can now understand the whole picture by visiting one comprehensive and straightforward site. The Claims Information Center has truly streamlined the insurance process. Business Insurance: Is Flood Insurance Necessary? Flood insurance is not necessary for every part of the country. Flood insurance is not necessary for every part of the country. The fact is that certain areas are considered high-risk zones, which indicate a higher than average probability of a flood occurring. If your business operates in one of these areas, it may be beneficial to purchase the extended coverages offered by flood policies. However, this always brings up questions of coverages and comparisons between commercial and flood policies that require some explaining. Commercial insurance does not typically cover external flood damage, meaning flooding that occurs because of storms and other surges. These policies will only cover damage done by broken pipes or blockages that are directly related to your property. Flood coverage is typically offered through the federal government’s National Flood Insurance Program. However, some other companies may provide riders to an existing policy, but these are rare for businesses. Flood coverage will only cover the damage done to the building due to flooding; it will likely not include landscaping, vehicles or business interruptions, these are typically only covered partially under the comprehensive option. Some businesses will likely be required to have flood insurance, but that is dependent on your zoning and your mortgage lender. Firms in a high-risk flood area are required to have flood coverage, especially when the mortgage is through an insured or federally regulated lender. Flood coverage will likely cover all damage within your property that was caused by the flood; for example, flooring, walls, plumbing and electrical outlets. However, a flood remediation specialist in the Hamilton, OH area or your insurance provider can offer more assistance and information on possible coverages. Flood insurance is not necessarily a requirement for your commercial property, but it may still be a wise purchase. While it is often required in high-risk areas, other areas can still flood, and coverage ensures protection. How to detect water damage in home? If you think you have water damage in your home, it is important to get in contact with a professional restoration company immediately. 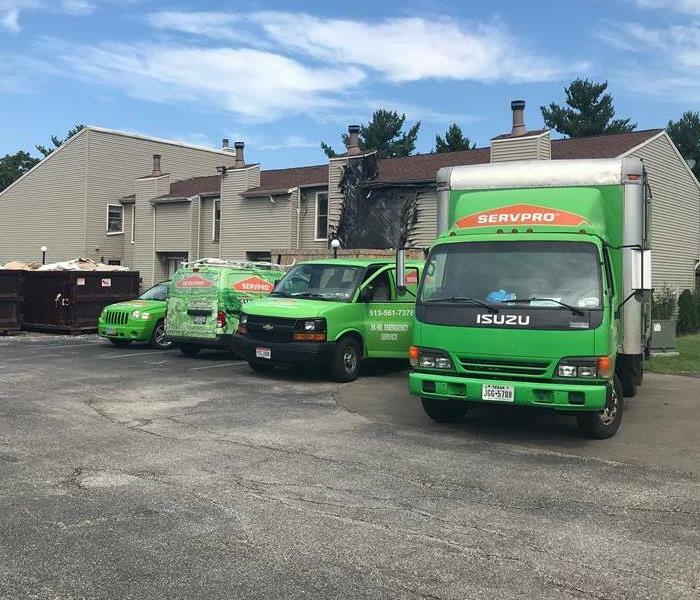 SERVPRO provides 24 hours services for emergency services, and can be available to help. In many cases the water might not be visible. SERVPRO has special equipment and resources that can detect water that might be unseen. Once the water is detected, certain materials can be removed and the extraction and drying can begin to take place. It is important to document each step of the water damage restoration process. This way you will have adequate records if you have to file a claim with your insurance company. SERVPRO makes sure to keep complete records for you as well as document each step of the project. Many tenants buy renter’s insurance to cover the cost of replacing their personal belongings if they are damaged or destroyed by an accident in the building where they live. Your coverage, however, may pay for much more than just item replacement. It’s important to talk to your agent, so you know just how much you can expect your insurance company to pay if the place you are renting in Oxford, OH , catches fire. Make sure your policy states that it pays replacement cost rather than the actual cash value of your items. The purpose of insurance is to make you whole again, and replacing lost belongings is a good start. If the fire was caused by your negligence, you might be liable for any damages you cause to other people or to the structure itself. Your renter’s insurance probably has a clause that protects you from legal costs. Your policy may cover damage to your neighbor’s belongings or the property itself, as well as cover medical bills of anyone injured in the fire if you bear some responsibility for its starting. Fire restoration experts may work quickly, but there are probably going to be some nights that you are unable to stay in your rented space. Finding a temporary place to live can be expensive. Your insurance policy is likely to cover this as well. You can include your shelter needs as part of the fallout of the fire damage to your home when you file your claim. Your renter’s insurance does cover the loss of your belongings, but it can also cover other losses. Your insurance agent can help you build a solid policy that takes all potential expenses of the fire into consideration. Bread mold is a common issue that most homeowners have come across, but it may be something that they do not entirely understand. How many times have you gone to make a sandwich to find that 3-day-old loaf of bread fuzzy and discolored? Mold is not a complex organism, but it can be dangerous. The fungus does not discriminate between hot and cold climates. You may find moldy bread in your drawer, or you may even discover fridge mold. The truth is that mold is a living organism that enjoys cool temperatures in dark and damp spaces. While a drawer is not necessarily damp, bread does have enough moisture and nutrients to make this particular organism happy. Bread mold has been known to make people sick, and every level of precaution should be made when coming into contact with mold. While it is not necessarily deadly, people can be allergic to mold, and the taste and smell can make you vomit. It is true that some molds are poisonous, but mold on bread is likely harmless to your long-term health. 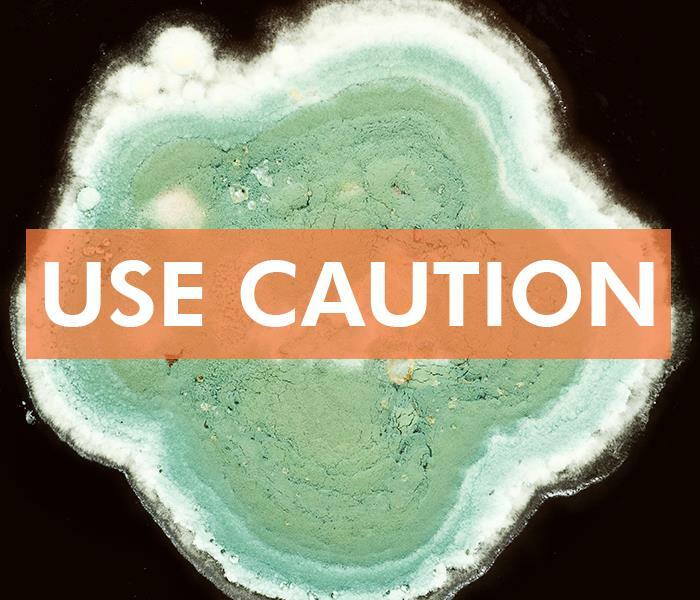 Mold can create problems if ingested, so you may want to follow basic safety precautions if you have to handle it. First, don’t smell it because it may cause respiratory issues. Second, seal it in a plastic bag or leave it in the bread bag tied off. Third, if the mold came into contact with any surface, clean the area. Finally, check that the mold did not spread. While moldy bread is common, it is not always the source of fungus growth. It is possible that a leaky pipe behind your kitchen cabinets has caused the initial fungus which has now spread into your bread drawer. If you suspect that there may be a larger underlying issue, then you may want to contact a mold remediation specialist in the Hamilton, OH, area to clean and restore your home. Bread mold is a common household problem and one that is typically independent of other issues. However, you should still take precautions to avoid potential illness. 4/11/2019 - Can You Be Insured for Mold? 3/25/2019 - Storm Services: How Can They Assist Insurance Agents During Times of Disaster? 2/11/2019 - Business Insurance: Is Flood Insurance Necessary? 2/6/2019 - How to detect water damage in home?